For a very long time, Al Franken was a very lonely man on the subject of the Comcast-Time Warner Cable merger. He was the only senator to immediately and staunchly oppose the planned merger between the two companies. He was joined by only a few others on Capitol Hill, even as it became increasingly clear that the merger might not win government approval. Now Franken can take the congressional version of a victory lap. 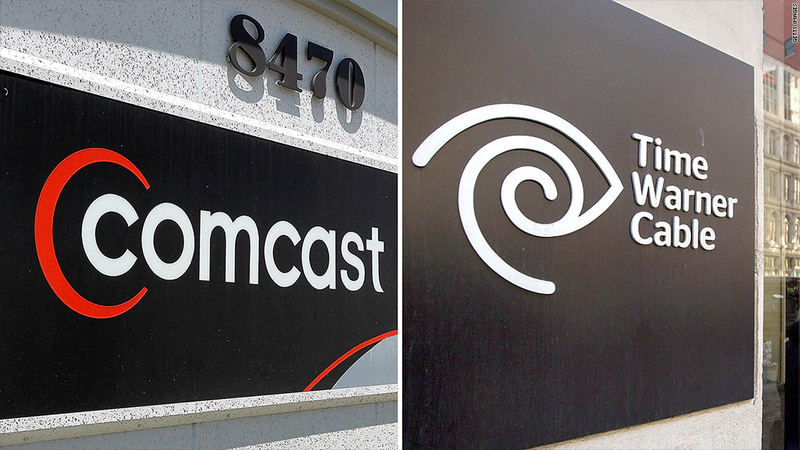 "This is a great day for American consumers," he said Friday when Comcast (CCV) formally withdrew from the merger amid signs that the government was going to block it. "This was an uphill battle," he said, "and I'm enormously proud of our victory." Franken, Democrat from Minnesota, is one of the most liberal members of the Senate and one of the most skeptical of consolidated corporate power. He also happens to have a long history with the network Comcast owns, NBC, as a famed former star of "Saturday Night Live." In an interview with CNN on Thursday, as the merger appeared headed for defeat, Franken reiterated that he has "nothing personally against the people at Comcast; I loved my time at NBC and I'm very grateful for my time there." He also described his initial reaction on the evening of February 12, 2014, when his wife told him there were news reports that Comcast intended to buy Time Warner Cable. "No, that's ridiculous," Franken recalled saying. "That would be too big a company, you can't allow this to happen." While Franken opposed the deal early, most others in Washington reserved judgment while government regulators conducted reviews. Last April on CNN's "Reliable Sources" I asked Franken if he thought Comcast's generous political donations influenced his colleagues on Capitol Hill. "You know," he said, tactfully avoiding the question, "I think Comcast does give money to people who support them, not necessarily to buy their support, but -- yes, I really don't like the role of money in politics, and I think it's gotten worse and worse and worse." When I asked him on Thursday if he'd felt lonely in his opposition, he joked, "Well I have a great family." More seriously, he acknowledged that when the deal was first announced, "this looked like a fait accompli" with Franken on the losing side, but that over time "more people saw the wisdom of what I was saying." One of his main messages was that a combined Comcast-Time Warner Cable would control far too much of the nation's broadband infrastructure. "We need more competition in the cable and broadband markets, not less," he said in a celebratory statement on Friday. He ended it simply: "It's a good thing the deal is dead."